There is a heavenly call of God upon you today. A call for you to move on and press on toward all that He has prepared for you. Yesterday’s progress is all behind you. Your best day is today, whether you take a small step forward or a giant leap, this day will move you closer than you have ever been before. What a day this is! You have never gone this way before. Today may be the start of an anticipated vacation, the day of a planned event, or it may be a normal day spent around the house or at the office. What you have planned for today is not what makes it meaningful. What makes your day meaningful is that God is in it. God was in your day when you first opened your eyes. He has sustained you through the night, greeted you with new mercies at morning’s light, given you the breath of life, and promised to direct your steps until day’s end. Because of God’s mercies you can follow Him with all of your heart today…you can take each step today with a quiet heart…you can move ahead today with great confidence of faith knowing His love keeps you close to His heart, mindful of His promises, and confident of His care. God’s mercies declare that you are covered in His compassion; His peace proclaims that you are renewed in His rest; His love heralds that you are bathed in His blessings of joy. 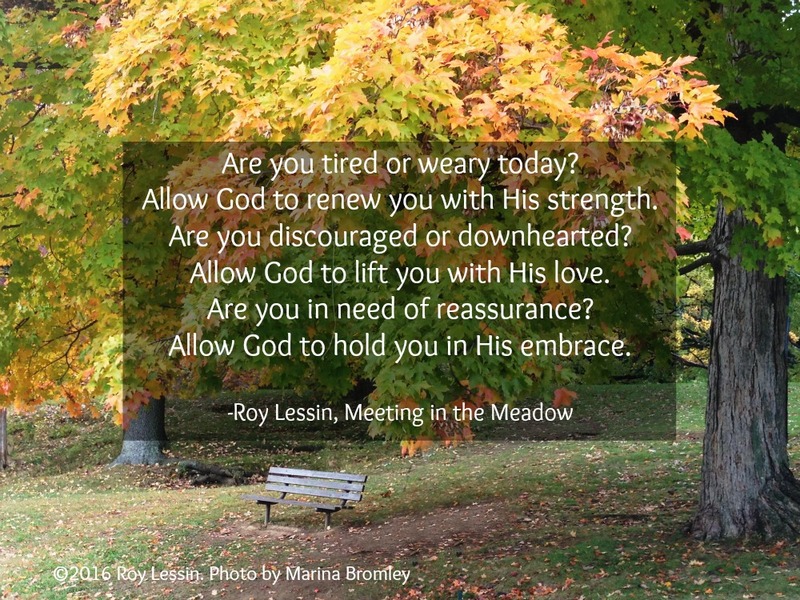 Are you tired or weary today? Allow God to renew you with His strength. Are you discouraged or downhearted? Allow God to lift you with His love. Are you in need of reassurance? Allow God to hold you in His embrace. The book Today is Your Best Day is available through New Leaf Press at Christian bookstores and online retailers.